Nothing has revolutionized personal security as much as technology. Thanks to powerful motion-detectors and DVRs, we’re able to monitor our homes and offices without being physically present. That said, it’s not always easy to keep track of all your security cameras and to monitor them all continuously. Also, not everyone can afford a security camera; however, there are many people in need of a similar device. Fulfilling that need we have some great Android apps that let you either monitor your security cameras or help turn your phone into a fully equipped motion-sensing camera. Whatever your requirement may be, we've picked the best Android video surveillance / security apps just for you. Compatible with most Android devices, MEye lets your phone connect to any DVR/Security Camera. Once installed, the app will allow you to watch a live video stream of the place you want to put under surveillance. By connecting the app to a DVR, you can stay updated without having to stare into a monitor screen 24x7. 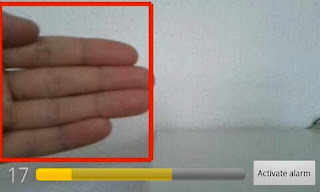 Furthermore, MEye also supports most China-made DVRs that can be connected with the app to monitor any area. You can use multiple DVRs and switch between the footage any time you want. Rated 4.3 out of 5 stars, MEye is free to try with a pro version available for a few dollars. Motion Detector is an amazing app that turns your phone into a surveillance device with motion detection. Using your phone’s built-in camera, Motion Detector Pro has the ability to detect the slightest of movements happening in the phone’s range of vision. If, at all, there’s an intruder, the app will immediately alert you with an email or text message. So, all you have to do is hide your phone in a place where no one would be able to see it and relax. That said, there’s a small chance that the intruder or anyone else might get their hands on your phone and might make an attempt to disable the surveillance. In that case too, you don’t have to worry, as Motion Detector Pro comes with a feature called Stealth Mode, which closes the app as soon as the phone is touched. Cool huh? ICRealtime, much like the aforementioned MEye lets you access and control DVR cameras/IP cameras. With support for multiple DVRs, ICRealtime not only lets you stream live video to your Droid, it also allows you to take snapshots of the footage. Furthermore, if you have more than one DVRs, you can watch up to four of them at once with the help of the multi-view feature. Rated 3.8 out of 5 stars, ICRealtime is available for download from the Android marketplace. 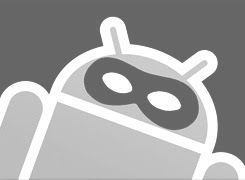 Coming back to motion-triggered surveillance apps, SECuRET SpyCam is another powerful security app for your Android. Once installed, it turns your Droid into a motion-capture surveillance device that keeps an eye on anything moving within its field of vision. Once the intruder is detected the app sends an email and/or a Twitter alert along with the relevant captures. That way, you won’t have to go through the whole footage in emergency situations. 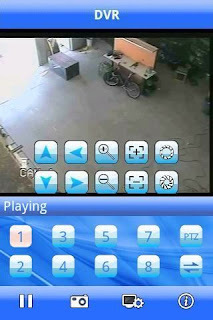 Overall, the features in this app are similar to the ones found on Motion Detector Pro; however, SpyCam is more popular and is more frequently updated. 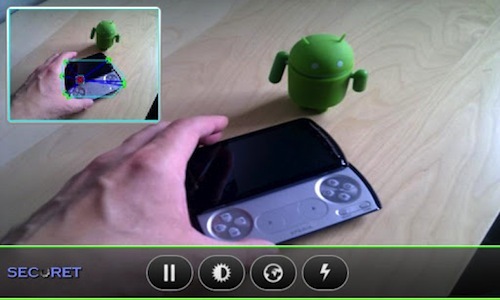 tinyCam Monitor is one of the most popular surveillance apps for Android. It comes with a slew of powerful features that make surveillance as easy as pie. The app supports most DVRs, video encoders and IP cameras so that you can easily hook them up to your Droid without buying a new camera. tinyCam supports up to 16 cams (4 at a time ), and one-click sharing by email. You can zoom into the video, and save the footage to your Dropbox account. The Pro version of app on the other hand gives you some more interesting features like cyclic video recording, LAN search, SSL Support, unlimited number of devices and motion detection. The app is rated 4.3 out of 5 stars and was one of the featured apps in the Google TV marketplace.